Kalahari Books, located in Orange Grove, specialises in used, old, out-of-print and hard-to-find books. If you’re looking for that classic that you just can’t find anywhere, this would be a good place to start. They have a love for prose, plays and poetry — although they do stock a bit of non-fiction as well. They also serve as a resource, stocking over 70 000 volumes. So if you’re a collector looking to trace a rare edition of a book, classics or books by popular authors of old, then Kalahari Books is definitely for you! Love Books is an independent bookstore in Melville. The name speaks for itself — they love books! And if you love books (which I assume you do, otherwise you wouldn’t be reading this, right?) you should definitely give this pace a visit. Their collection of books is a well-curated, well-edited range of classy books that makes buying books an exciting experience. And if you can’t find the book you’re looking for, the staff will gladly track it down for you! They also frequently play host to many book launches, which is a great way to find your next great read. If you find yourself at 44 Stanley, then you definitely have to step into L’Elephant Terrible. This bookshop is everything a bookshop should be! It oozes charm and is filled with books from floor to ceiling. The store boasts two floors of books to browse through. And I’m not afraid to say that it has that old book smell, which, as an advocate for the physical book reading experience, I’m completely in love with. They stock rare, out-of-print books. The store was started by Wolf Weinek, who had his first bookshop at the Market Theatre many years ago, and his wife now runs the shop. The store is truly a treasure trove. Bridge Books may be one of the better known stores in this list. If you want to collect more literature by African writers, then Bridge Books is definitely for you. 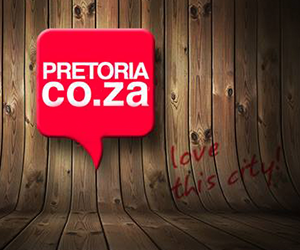 They frequently collaborate with other bookstores across Joburg and they stock books in multiple languages and genres. Bridge even hosts tours of underground bookstores in Johannesburg for those who would like to discover more stores. James Findlay is a writer and antiquities dealer, who converted a basement into this Dickensian wonder. This store specialises in unusual manuscripts, letters, rare African texts, first editions, apartheid posters, banned political posters and pamphlets. He also deals in European literature that goes back centuries. If you’re looking for a first editions, this would be a great place to look. David Krut Bookstore is the place to go if you’re interested in art books — you know, those books that everyone puts on their coffee table as part of their decor. The store has two locations, one in Johannesburg and another in New York. David Krut not only provides books, but digital prints of art as well. They focus on titles by South African publishers, as well as international selections. They specialise in books on art and art-related subjects, South African culture and politics, biographies, poetry, literature, design, architecture, local history and collectables.